Cloud technology gives businesses the ability to store, share and analyze data more efficiently and put it to use to improve operations, drive sales and otherwise help companies grow. Cloud technology gives businesses the ability to store, share and analyze data more efficiently and put it to use to improve operations, drive sales and otherwise help companies grow. Cloud computing trends indicate that this technology is still transforming and adapting to be even more beneficial for those who use it for data visualization and advanced analytics. Cloud technology allows companies to collect and store business intelligence and big data in a secure location, but many are still wary of the risks associated with moving to the cloud. Computerworld reported that businesses need to take safety precautions when moving their data to a cloud, but as long as security is a top concern during this process, the information will be protected. A recent study by Intermap found that only 15 percent of businesses with knowledge of cloud services were concerned with safety, but more “cloud-wary” companies (40 percent) had security concerns when it came to moving to cloud technology. 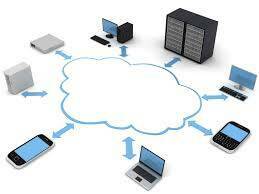 Different cloud providers offer various security measures. For instance, the hybrid cloud, which combines both public and private clouds, provides new opportunities for scalable security, according to CIOL. This allows for tiered security with features like access control policies that will keep information secure. Sharing documents and information within one cloud is simple, but what if you need to share data between different clouds? InformationWeek reported that as cloud technology advances, it will likely be forced to reach a level of standardization that allows for more easily integrated services across providers. Currently, providers are operating with more than 160 different cloud computing standards, but the source stated that this will need to be pared down to fuel interoperability and portability. Private clouds are increasingly being used in corporate settings, as CIOL reported that this helps companies determine whether to run processes internally or externally, giving them more control over the cloud. This also allows for real-time analytics and provides scalability that will adapt along with technological advances and company growth. As business intelligence analytics becomes a more integral aspect of running a successful company, there will be an increased need for streamlined, efficient IT services. CIOL pointed out that consolidation of data in the cloud can allow for better visualization. In turn, this will make it easier for professionals to make improvements to various IT systems, cut costs and do it all in a quick and concise fashion.